KITCHENER, Ont. 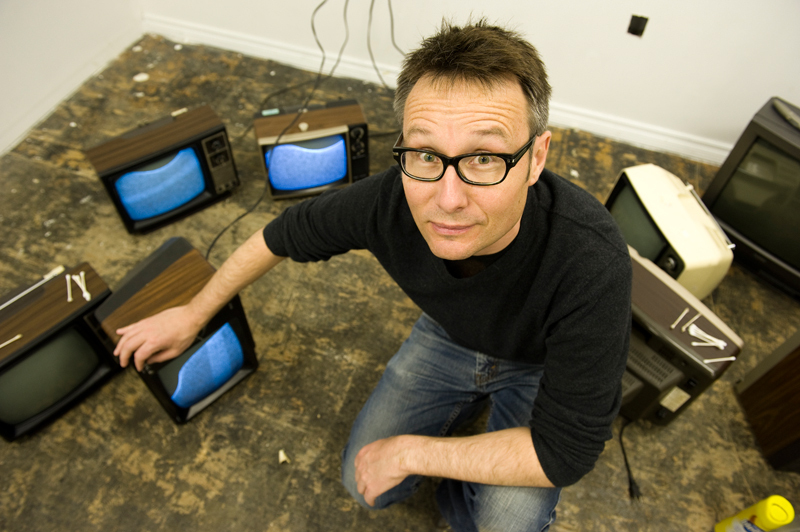 (25/04/11) -- Paul Walde, a London based artist, prepares old televisions for his installation entitled "Snow Drift" as part of the Open Ears music festival in Kitchener. 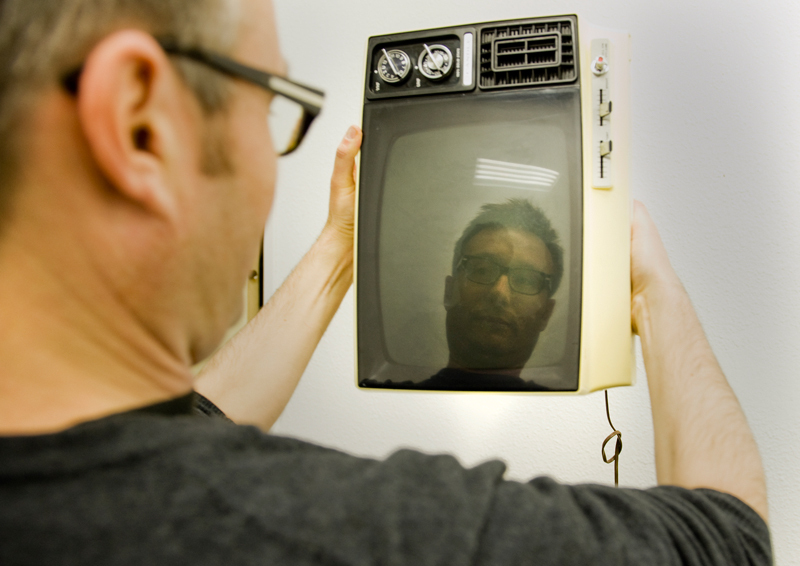 The piece will consist of a collection of old televisions all transmitting a white noise signal. Shannon Storey, Record Staff. KITCHENER, Ont. (25/04/11) -- Matt Rogalsky, a Kingston based artist, stands amidst 12 electric guitars that make up his installation entitled "Discipline" as part of the Open Ears music festival in Kitchener. 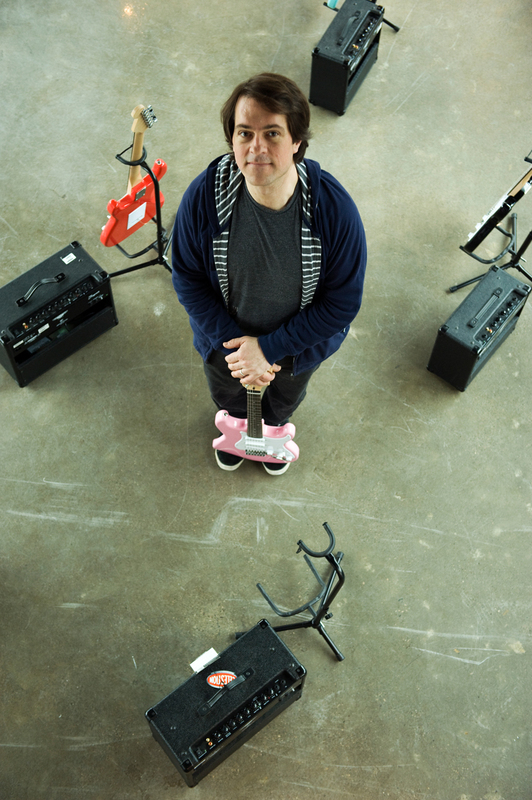 The piece will involved the guitars self resonating in response to input from a classic rock radio station. Shannon Storey, Record Staff.